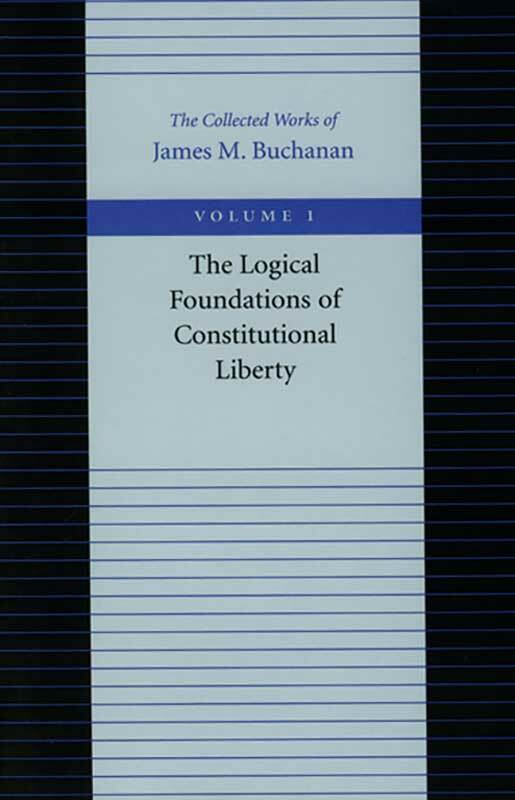 The editors have focused on papers that Buchanan has written without collaboration and which present Buchanan’s earlier, classic statements on crucial subjects rather than his subsequent elaborations which appear in later volumes in the series. Included, too, is Buchanan’s Nobel address, “The Constitution of Economic Policy,” and the text of the Nobel Committee’s press release explaining why Buchanan was awarded the prize for Economics in 1986. The volume also includes Buchanan’s autobiographical essay, “Better Than Plowing,” in which he gives not only a brief account of his life, but also his own assessment of what is important, distinctive, and enduring in his work. The foreword by the three series editors will be valuable to all readers who wish to engage the challenging but epochal writings of the father of modern public choice theory. Foreword, introduction, appendixes, name index, subject index.